The president warns that biggest names in football would be banned from the World Cup if they played in a breakaway European Super League. Infantino said the governing body would punish players at clubs like Barcelona, Manchester City and Bayern Munich if they left the organised structure to form a privately-owned league. 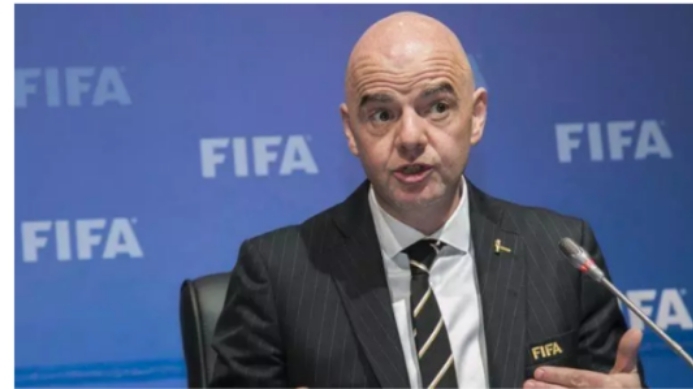 "Either you are in or you are out," Infantino said, listing the World Cup, European Championship and national leagues as competitions that players from breakaway teams could be excluded from. "which includes everything." "The idea is if you break away, you break away. You don't keep one foot in and one foot out," FIFA legal director Alasdair Bell said. "The Club World Cup is the answer to any attempt to think even about any sort of breakaway leagues," he said. Infantino insisted while the plan would be lucrative for clubs taking part, it also kept money in the soccer family. FIFA would use 25 percent of revenue to share globally. "If the price to pay is to give proper revenues to a club participating in a Club World Cup but this allows us to ... give $1m to Haiti who has nothing, or to Mongolia who has three time zones but only two football pitches, well then we should be I think doing that," he said. A FIFA task force will assess a revamp of competitions, including a new event for all national teams played every two years. Infantino said he expects a decision in March when he chairs a FIFA Council meeting in Miami. He also believes the latest breakaway threat will calm. "People are still quite reasonable," he added. "I trust certainly the club owners and presidents to be able to have a discussion.